We know that while liberating, working freelance has it’s downsides. Be part of a network again. Pull work towards you by displaying your expertise in a way a client can’t refuse. What Would You Do if You Had 40 More Days in the Year? We calculated the average consultant spends a minimum of 40 days a year trying to gain new clients and chasing up client debts. That's 960 hours you're not getting paid for. At 2PS we take care of everything that's not your actual job. 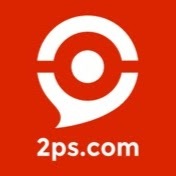 2PS is a global community of high-level consultants with one shared vision; improving the world of consulting. Through collaboration between professionals, we provide skills to match the biggest names in the industry. We already have people like you all over the world working together to deliver extraordinary results. Are you ready to jump in? The fact you are here shows you think differently. 2PS lets you maintain your freedom whilst providing the missing link that makes you feel part of something. We take care of client acquisition, guarantee payment and grant you access to consultants with your missing expertise to fully answer clients project proposals. Become part of a dynamic network of professionals and companies who understand the benefits of working together without losing your autonomy. Meet other professionals, attend events, collaborate on projects and achieve more - as a team. Let your skills as a consultant speak for themselves.Reach new clients from our website or land a job from one of our 2PS Ambassadors forming teams for a project. 2PS puts a large amount of effort into establishing your personal branding our platform is a completely free way to create a detailed profile and display your specialties to the right people - but we also offer many external opportunities to showcase your abilities as a consultant. Get involved with local 2PS events in your area and have the chance to speak at 2PShows or attend consultant meetups (M33tups). We also feature top performing consultants on our website, social media channels, online ad campaigns, videos and external written content. Companies are requiring an increasingly extensive range of skills to solve their problems. Our network lets you deliver the missing pieces. Stay in complete control of your clients' project while having the option to use us to source skills in completely different fields. In return, your fellow consultants will land you segments of large projects they are working on. With us, you can deliver more to your current clients, effortlessly land new projects and save time by being able to focus on your strengths. How Do I Jump In? Help change the future with us. If you're ready to take on big projects and work with other consultants jump in! One of our 2PS team members will be in contact with you. Recruitment & hiring: Let's evolve our process!